During our stay in the fantastic Berjaya Langkawi Resort in Pulau Langkawi, Malaysia I was finally able to take my latest technical gadget for a test-drive: My DJI Phantom 4 drone, which enables me to take pictures from a bird’s-eye view. 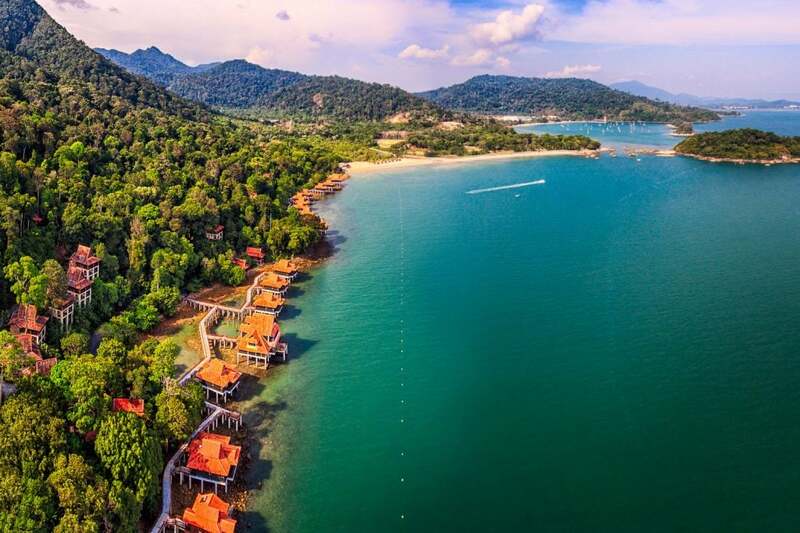 The picture of the sapphire blue sea and the lush forest, together with the small wooden chalets of the resort prove that I couldn’t have picked a more suitable place – this coastal stretch deserves to be captured from above in all its beauty. During our stay in the heavenly Berjaya Langkawi Resort on the Malaysian Island Langkawi, I decided to give the impressive art of astrophotography a go and it seems I couldn’t have picked a more beautiful night for my first try. When looking at the image afterwards, I was especially surprised and fascinated by the illuminated purple firmament, which gave a certain magical feel to starry night sky. 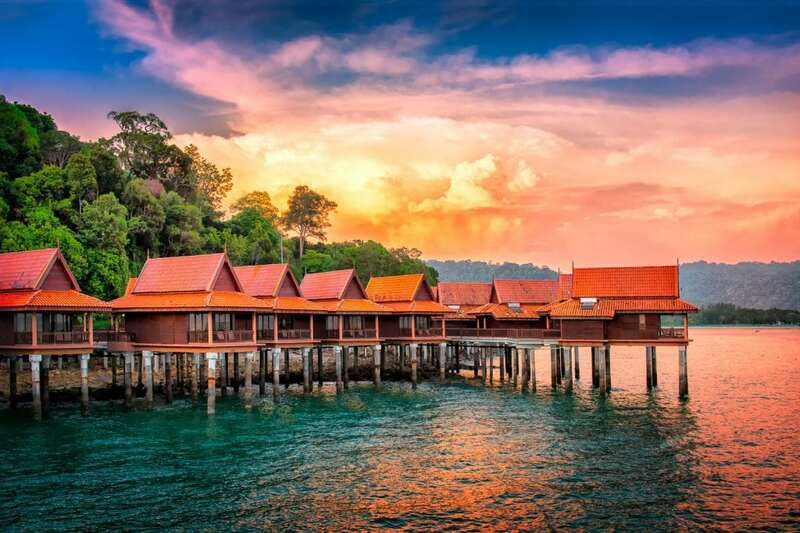 We were lucky enough to spend eight nights in paradise, in the form of one of the water chalets of the Berjaya Langkawi Resort on Pulau Langkawi off the northwestern coast of Malaysia. From the comfort of the bungalow’s patio I was able to take breathtakingly beautiful pictures. It didn’t matter what direction I looked, there were stunning scenes everywhere. 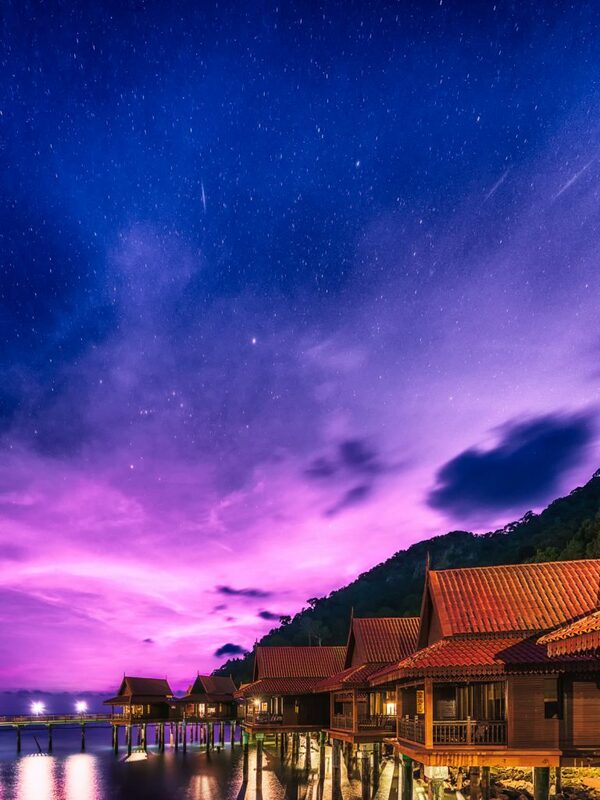 One of them was this cloudy sky over the Langkawi Island, Malaysia which seemed to have caught fire.